I spent the better part of my afternoon reading about the Kingdom of Saudi Arabia's Saudization Program or NITAQAT online. NITAQAT is a major labor policy being implemented by the government of Saudi Arabia to address the large percentage of jobless young Saudis (citizens of KSA). The program compels private companies to increase the percentage of Saudis they employ, affecting all foreign workers including Overseas Filipino Workers (OFWs). 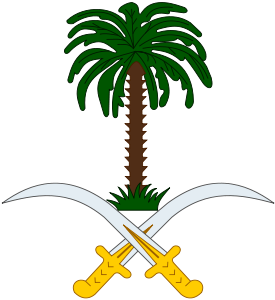 Under the Nitaqat, the Saudi Ministry of Labor will classify some 300,000 local companies into four categories: excellent, green (complying companies), yellow (partially complying) and red (non-complying companies), with each one required to employ a minimum number of Saudi citizens based on company size and the occupations of the company’s workers. Yellow-coded companies will not be able to renew the work visas of foreign workers beyond six years, while red-coded companies will no longer be allowed to renew the work visas of their foreign workers. On the other hand, excellent- and green-coded companies may recruit foreign workers who are already in Saudi from the red- and yellow-coded companies---even without the consent of the workers’ sponsors and even if the workers have not worked for at least two years under their sponsors. Red-coded companies are given until December 11 to improve their Saudization ratios before restrictions come into effect, while yellow-coded companies have until March 11, 2012 to comply. The Philippine government - through DOLE & OWWA statements - are trying to allay fears on the adverse effect of the Saudization program. I am one of those who believe that it will have an effect. There are some contentions among comment boards that the program will lead to the downfall of small and medium business in the kingdom because Saudis will demand a much higher compensation compared to foreign workers such as Filipinos. Others are saying that the displacement of foreign workers will only be temporary as young saudis are portrayed as less skilled, less interested about the job, and are not hard workers. The implications of this Saudization program to OFWs, their respective families and the Philippine economy affords us some important lessons. Work Contract Overseas is not forever. An OFW and his/her family should save money and should invest for their future. An OFW must strive to develop his/her skill to be more employable in other countries. The Philippine economy can not forever rely on OFW remittance for help, making it imperative for the government to make the country more suitable for small and medium enterprise to generate local jobs. Returning OFWs can help create local jobs by starting their own businesses here. This site hopes that most, if not all, OFWs in KSA work on companies that fall under the excellent or green categories. That employers of those OFWs working under companies under the yellow category can comply within the time period allowed. And that those unfortunate to work for companies under the red category, can get absorbed by complying companies. Otherwise, Saudization/Nitaqat affected OFWs would have no choice but return to the Philippines and compete with other hard-luck OFWs and jobless Filipinos for local jobs like this DOLE list. Here a good article about Saudization/Nitaqat.